BEIRUT (AP) — U.S. Secretary of State Mike Pompeo hopes to use his first visit to Lebanon this week to step up pressure on Iran and its local ally, Hezbollah. But he could face resistance even from America's local allies, who fear that pushing too hard could spark a backlash and endanger the tiny country's fragile peace. Hezbollah wields more power than ever in parliament and the government. Pompeo will meet Friday with President Michel Aoun and will also hold talks with Lebanon's parliament speaker and foreign minister — all three of whom are close Hezbollah allies. He will also meet with Prime Minister Saad Hariri, a close Western ally who has been reluctant to confront Hezbollah. "We'll spend a lot of time talking with the Lebanese government about how we can help them disconnect from the threat that Iran and Hezbollah present to them," Pompeo told reporters earlier this week. "Hezbollah is a terrorist organization. You ask how tough I am going to be? It is a terrorist organization. Period. Full stop," Pompeo said in Jerusalem on Thursday. But isolating Hezbollah, whose military power dwarfs that of the Lebanese armed forces, could prove impossible. The Iran-backed group has an arsenal of tens of thousands of rockets and missiles. Its battle-hardened cadres fought Israel to a stalemate in 2006, and have fought alongside President Bashar Assad's army since the early days of the Syrian civil war, securing a string of hard-won victories. Over the past year, the group has translated this power into major political gains unseen in the past. Hezbollah and its allies today control a majority of seats in parliament and the Cabinet, after it managed in 2016 to help Aoun, an allied Christian leader, be elected president. The group has three Cabinet seats, the largest number it has ever taken, including the Health Ministry, which has one of the largest budgets. That has angered Washington, where U.S. officials have called on Hariri's national unity government to ensure Hezbollah does not tap into public resources. Last month, U.S. Ambassador Elizabeth Richard expressed concerns over Hezbollah's growing role in the new Cabinet, saying it does not contribute to stability. Lebanon has long been a political battleground in the region-wide struggle between Washington and Tehran. But tensions have risen since President Donald Trump withdrew from Iran's nuclear deal with world powers and re-imposed sanctions on Tehran. The United States backs a coalition of groups opposed to Hezbollah led by Hariri's Sunni-led Future Movement and the right-wing Christian Lebanese Forces, but Washington's local allies are proceeding with caution. 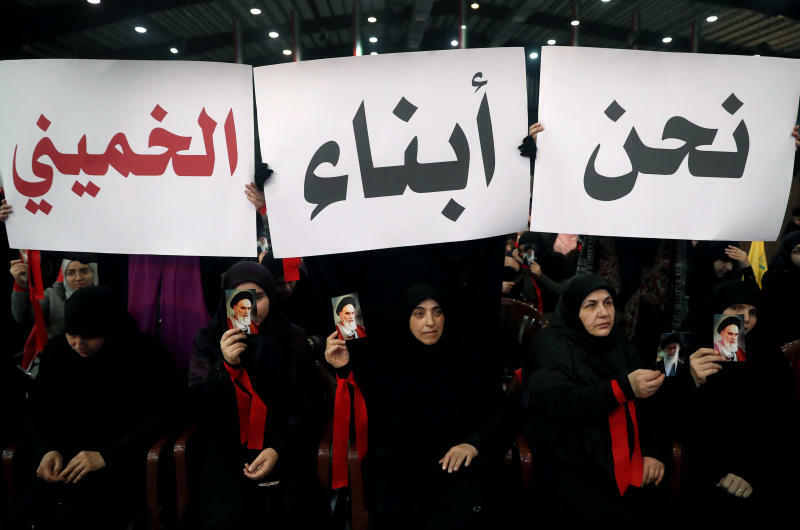 Memories are fresh of the clashes that erupted in May 2008, when the Shiite Hezbollah rapidly defeated a group of Sunni opponents on the streets of Beirut. "Washington should be careful not to push Lebanon to the brink, as Hezbollah would retaliate if its survival is at stake," said Joe Macaron, a resident fellow at the Arab Center in Washington. "In the current status quo, the most effective way to restrain Hezbollah remains within the intricate parameters of the Lebanese political system," he said. 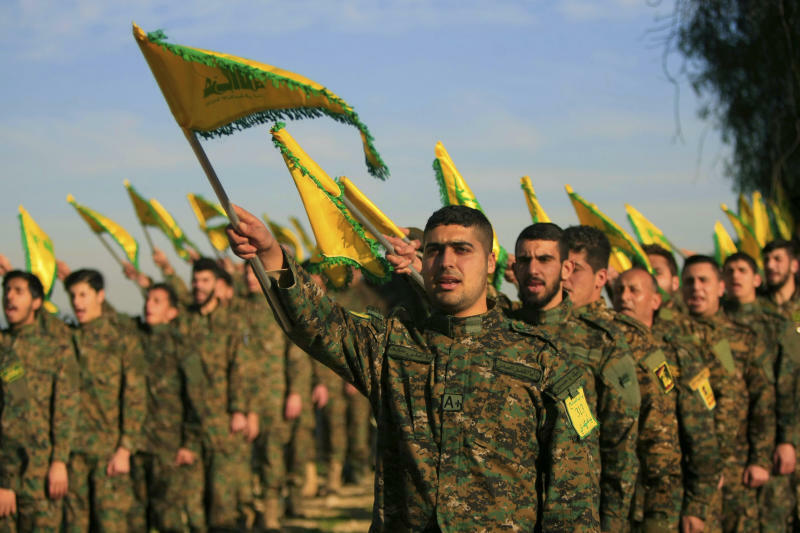 The Trump administration appears to be aware of the difficulties it faces, and while it has talked tough about Hezbollah, it has done little beyond strengthening already tough sanctions on the group, which has long been blacklisted as a terrorist organization by Western countries. The United States is a strong supporter of Lebanon's national army, supplying it with arms and more than $1.5 billion in aid over the past decade. 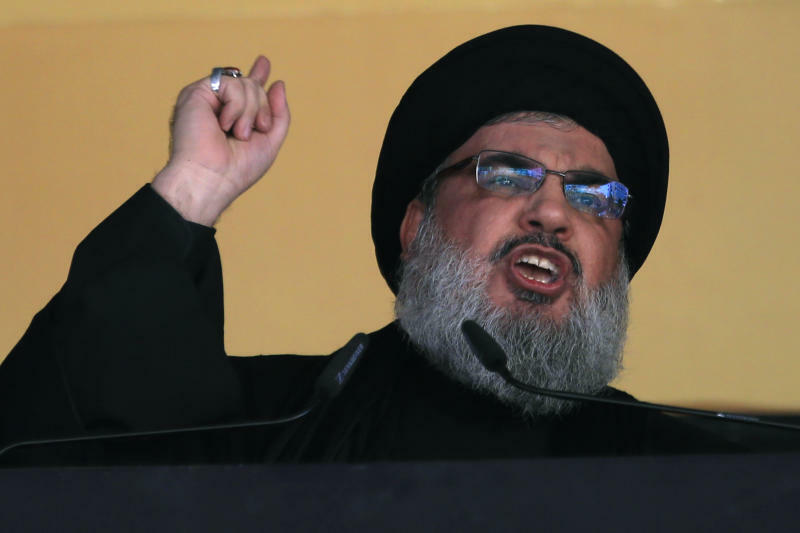 But Hezbollah, the only group that did not disarm after the 1975-1990 civil war, takes credit for ending the 18-year Israeli occupation of southern Lebanon in 2000 and says it is the only force capable of repelling another Israeli invasion. During his visit to Lebanon, Pompeo is expected to reiterate Washington's support to the Lebanese army. In return, he is expected to demand that Lebanon's Central Bank act to prevent Iran from using the country's banking sector to evade sanctions. Asked by journalists on his way to the Middle East about his meetings with Aoun, who helped facilitate Hezbollah's rise to power, Pompeo responded: "In my business we talk to a lot of people that we're hoping to change their way." "We're going to be very clear about how America sees Hezbollah and our expectations about how Lebanon's success depends on the Lebanese people demand(ing) that a terrorist organization not be in control of their government and not drive policies and create risk for their country as well," he said in Jerusalem. Aoun is scheduled to visit Russia later this month for talks with President Vladimir Putin. The two are expected to discuss a number of topics, including the return of Syrian refugees and oil and gas exploration in the Mediterranean, which has been a source of tension between Lebanon and Israel. Pompeo will likely offer continued U.S. mediation to try and resolve the maritime border dispute between Lebanon and Israel. Lebanon plans to begin offshore oil and gas exploration later this year. Associated Press writer Matthew Lee in Jerusalem contributed to this report.